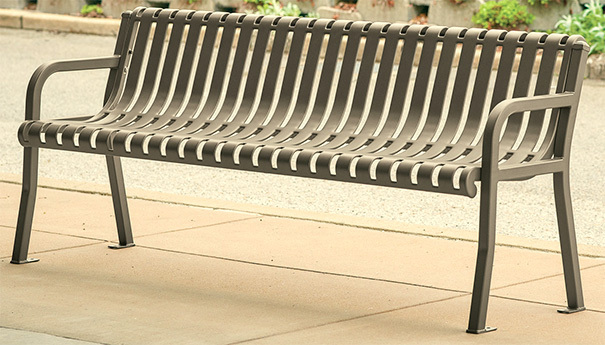 A timeless classic design reinvented, Streetside Collection Contour Benches are a popular choice to upgrade landscape aesthetics. 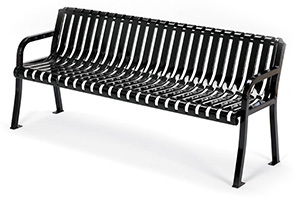 All-steel construction with a stylish slat seat assembly supported by a reliable square tube frame. 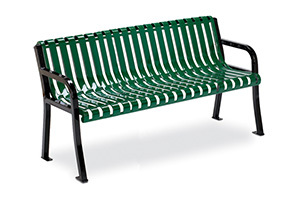 These premium benches are built to withstand throughout high volume use maintaining its original form—ready for all-weather conditions with a high performance powder-coated finish. Comes standard with pre-drilled holes for easy surface mounting.